While the half-brothers passed away decades ago, their legacy has endured. Herbert’s widow, Johanna Quandt, 86, and their children Susanne Klatten and Stefan Quandt, have remained in the public eye as BMW’s dominant shareholders. The billionaire daughters of Harald Quandt — Katarina Geller-Herr, 61, Gabriele Quandt, 60, Anette-Angelika May-Thies, 58, and fifty-year-old Colleen-Bettina Rosenblat-Mo — have kept a lower profile. The four sisters inherited about 1.5 billion deutsche marks ($760 million) after the death of their mother, Inge, in 1978, according to the family’s sanctioned biography, “Die Quandts.” They manage their wealth through the Harald Quandt Holding GmbH, a Bad Homburg, Germany-based family investment company and trust named after their father. Dr. Fritz Becker, the chief executive officer of the family entities, said the siblings realized average annual returns above 7 percent from its founding in 1981 through 1996. Since then, the returns have averaged 7.6 percent. Together, the four sisters — and the two children of a deceased sibling — share a fortune worth at least $6 billion, giving each of them a net worth of $1.2 billion, according to the Bloomberg Billionaires Index. They have never appeared individually as billionaires on an international wealth ranking. “The Quandt’s business grew in the Kaiserreich, it grew during the Weimar Republic, it grew during the Second World War and it grew strongly after the war,” Rudiger Jungbluth, author of “Die Quandts,” said in an interview at a Bavarian restaurant in Hamburg last November. In 1918, Guenther Quandt’s first wife died of the Spanish flu, leaving him a widower with two young sons, Hellmut and Herbert. He remarried Magda Ritschel in 1921, and the couple’s only son, Harald, was born later that year. Hellmut died in 1927, from complications related to appendicitis. Quandt and Magda divorced in 1929. 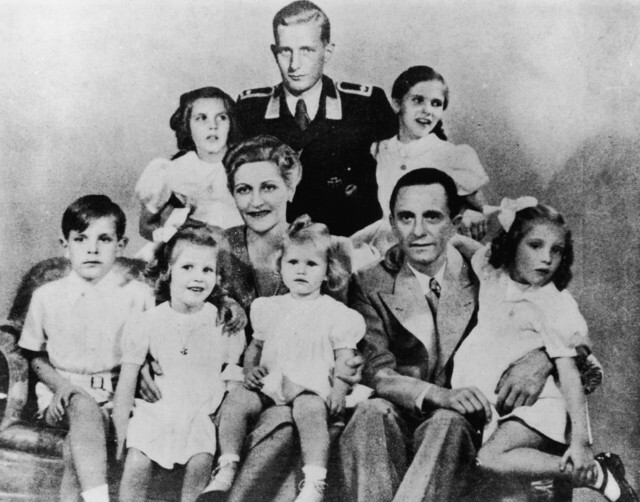 Two years later, she married Joseph Goebbels, a member of the German parliament who also held a doctorate degree in drama and served as head of propaganda for Germany’s growing Nazi party. After the Nazis took power in 1933, their leader, Adolf Hitler, appointed Goebbels as the Third Reich’s propaganda minister. In 1937, he earned the title of Wehrwirtschaftsfuehrer, the name given to members of an elite group of businessmen who were deemed beneficial to the production of war materials for the Third Reich. During the war, Quandt’s AFA manufactured batteries for U-Boat submarines and V-2 rocket launchers. His BKIW –which had been renamed Deutsche Waffen-und Munitionsfabriken AG in 1936 — produced Mauser firearms, ammunition and anti-aircraft missiles. After the war, Guenther Quandt served in an internment camp in Moosburg an der Isar for more than a year, before being judged a “Mitlaeufer” — a Nazi follower who wasn’t formally involved in the regime’s crimes — in denazification hearings in 1948. No repercussions followed. Guenther died in 1954 while vacationing in Cairo, leaving his business empire equally in the hands of his two surviving sons, Harald and Herbert. Most notably, the assets included ownership of AFA and Deutsche Waffen-und Munitionsfabriken — renamed Industrie-Werke Karlsruhe AG after the war — and stakes in Daimler-Benz and potash miner Wintershall AG. Inge Quandt, who suffered from depression, died of a heart attack on Christmas Eve 1978. Her new husband, Dr. Hans-Hilman von Halem, shot himself in the head on Boxing Day. The five orphaned daughters, two of them teenagers, were left to split the family fortune. The six companies combined manage $18 billion in assets, according to the family investment company’s website. Becker said the majority of the money controlled by these firms is invested for third parties. One-fifth of the family fortune is managed by trustees for the two children of the youngest Quandt sibling, Patricia Halterman, who died in July 2005, four days before turning 38. Her Upper East Side townhouse sold for $37.5 million in 2008. Did German Intelligence Fuel Far-Right Extremism? 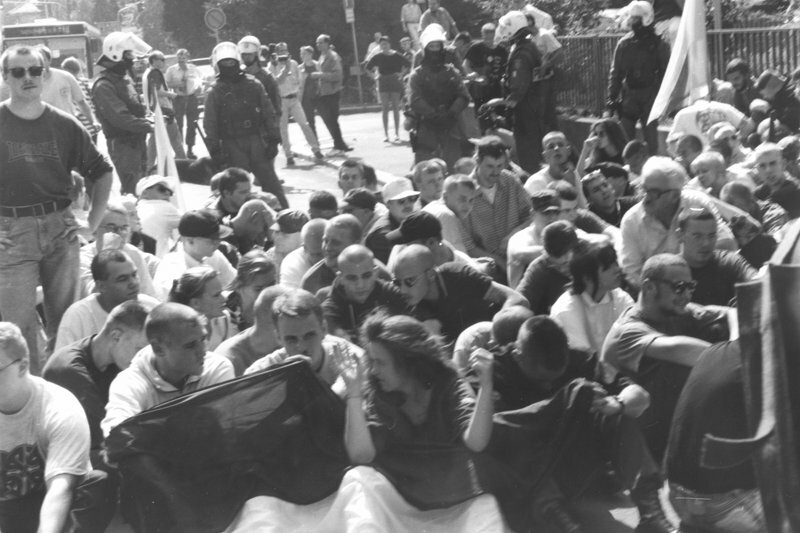 This photo shows suspected NSU member Beatte Zschäpe (center, front), who is being held in police custody as she awaits trial, at a neo-Nazi march in the German city of Worms in 1996 commemorating the annivesary of the death of senior Nazi official Rudolf Hess. The marches, a former annual tradition of neo-Nazis, have since been banned by German courts. One of the informants currently under scrutiny is believed to have helped organize the march. 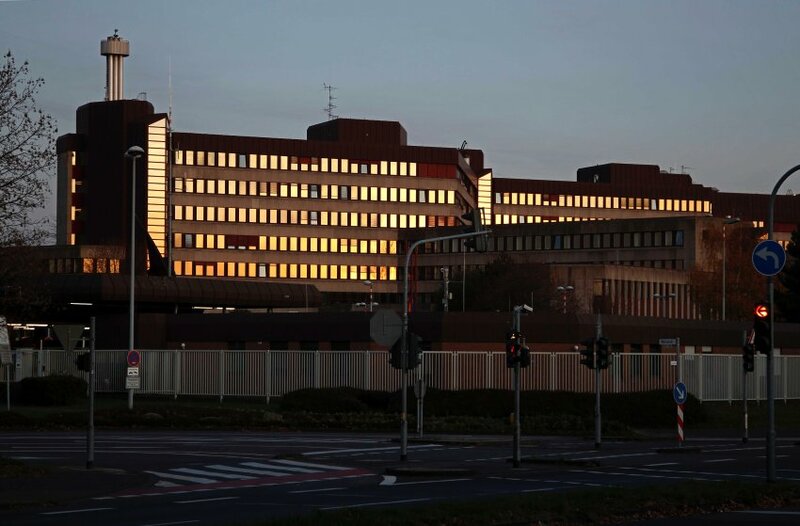 A secret paper written by senior police officers paints a disastrous picture of Germany’s domestic intelligence agency. It suggests that the service may have actually strengthened the country’s far-right scene through its large network of far-right informants. It’s a Wednesday in early summer 2012, on the terrace of a Chinese restaurant in Nuremberg’s city center. Kai D., 48, once one of the most subversive activists in the German neo-Nazi community, is sitting at a table, drinking a glass of roasted wheat tea, the house specialty, eagerly answering questions about his past in the right-wing extremist community. The ex-Nazi seems at ease as he chats about his experiences as the head of the Covenant of the New Front (Gesinnungsgemeinschaft der Neuen Front) and the Thule Network, a neo-Nazi data-sharing group, which he helped build. He describes his role as one of the organizers of the Rudolf Hess memorial marches — annual neo-Nazi ceremonies in memory of the prominent Nazi politician that were banned by German courts in 2005. He talks about the tiresome pressure from the police with all the interrogations and raids. He also admits to having known members of a group called the Thüringer Heimatschutz (loosely translated as “Thuringian Homeland Protection”), where the terrorists who later formed the National Socialist Underground (NSU) became radicalized. According to D., they were the people who organized regular meetings in the eastern state of Thuringia. The authorities found D.’s number on a phone list used by NSU terrorist Uwe Mundlos. On one subject, however, D. becomes tight-lipped. No, he says vehemently, “at no time, not even remotely” was he an informant for the Federal Office for the Protection of the Constitution (BfV), Germany’s domestic intelligence agency, and anyone who claims otherwise is lying. In a 1997 “position paper,” Germany’s Federal Police Office (BKA) vented its frustrations over the Office for the Protection of the Constitution over what it believed was “increasing divergence” between the domestic intelligence agencies and law enforcement. The BKA warned the informants could have an “incendiary effect,” goading other extremists to commit even bigger acts. It also alleged that some sources who were “found to be criminals” were often “neither indicted nor convicted”. Apparently, D. is still stretching the truth today. Responding to research conducted by SPIEGEL reporters, Bavarian Interior Minister Joachim Herrmann, a member of the conservative Christian Social Union (CSU), has told members of the Bavarian state parliament that D. worked with the Bavarian state intelligence service between the end of 1987 and 1998. D. was a major informant, and he was also one of the masterminds in the neo-Nazi network. German law enforcement authorities uncovered the NSU right-wing terrorist cell almost exactly a year ago. On Nov. 4, 2011, the police found the bodies of Uwe Mundlos and Uwe Böhnhardt in a camper parked in the eastern city of Eisenach. The NSU claimed responsibility for killing at least nine men and a policewoman during a seven-year murder spree that began in 2000. The male victims, all of them shopkeepers or employeed in small businesses, belonged to ethnic minorities — eight were of Turkish origin and one was Greek. Four parliamentary committees of inquiry are currently dissecting the work of law enforcement units, and four department heads have already resigned. The government’s failures in fighting right-wing terrorists have plunged the domestic intelligence service into the worst crisis since it was established. It was set up in postwar Germany to identify and stop the spread of precisely the kind of extremist thinking that allowed the Nazis to rise to power in the 1930s. The discovery of the NSU and its crimes, however, has shaken the system to its core. The committees are currently examining more than 100,000 pages of classified documents. The more secrets come to light, the clearer it becomes how extensively intelligence agencies had infiltrated right-wing extremist groups. The trio of neo-Nazis that made up the NSU was surrounded by informants linked with the Office for the Protection of the Constitution, and Kai D. was only one of many. Nevertheless, the authorities had no idea what plans were being hatched in the neo-Nazi underground. The system of undercover informants had failed. One of the big questions now being asked is whether the Office for the Protection of the Constitution and its methods are suited to protecting the German constitution — or whether it actually strengthened militant right-wing groups. “It cannot be that informants are being used who are more harmful to the community than they are beneficial,” says Thomas Oppermann, a senior lawmaker for the opposition Social Democratic Party. Once before, during the failed effort to ban the far-right NPD party in 2003, the links between law enforcement and right-wing extremist groups led to a political fiasco. The Federal Constitutional Court rejected the motion to ban the NPD because it appeared as if the government could in fact be controlling the right-wing extremists through its informants. The discussion is now being fueled by a previously unknown position paper dating from 1997. It comes from an authoritative source: the Federal Criminal Police Office (BKA), Germany’s version of the FBI. At the time, the police officials leveled serious charges against their counterparts with the German intelligence agencies, just a year before the NSU terrorists, who had operated in the eastern city of Jena, went into hiding. In the position paper that has now surfaced, which is still classified as “secret,” the BKA listed 10 theories that were presented to the Office for the Protection of the Constitution. The BKA document centers around the core idea that the informants egged each other on, essentially acting as incendiary agents. Instead of decisively combatting the neo-Nazis, the BKA posits, the intelligence agency protected them, and judging by the way the Office for the Protection of the Constitution deployed its informants, they became part of the problem and not part of the solution. The classified document, which SPIEGEL has obtained, is both an urgent warning and an indictment of the agents at the Office for the Protection of the Constitution. Did the intelligence service, intoxicated by the exclusive access it had gained, in fact protect some members of the far right? Is it indirectly responsible for the strengthening of militant neo-Nazi structures in the 1990s, from which the NSU, the most brutal and militant of all the extremist groups, emerged? The BKA paper was written at a time, just after German reunification, when right-wing extremist groups were bursting with strength. Attacks against foreigners in the eastern cities of Hoyerswerda and Rostock in 1991 and 1992 respectively were followed by deadly arson attacks against Turkish inhabitants in Mölln, a town near Hamburg, and in Solingen in the west. Hundreds of neo-Nazi skinheads staged rallies every August to mark the anniversary of the death of Hitler’s deputy, Rudolf Hess. Entire sections of eastern Germany became practically off-limits for foreigners. Mundlos, Böhnhardt and Beate Zschäpe — the third member of the NSU group who is being held in police custody as she awaits trial — grew up in a self-confident political movement that was enjoying unchecked growth. The BKA stepped up its investigations to find out who was responsible for what crimes. The Office for the Protection of the Constitution, for its part, infiltrated the neo-Nazi community, wanting to understand its structures and identify the masterminds and leaders, on the one hand, and their followers, on the other. In the mid-1990s, the intelligence agencies — which operate with both a national agency as well as regional branches in the 16 German federal states — managed to recruit a large number of sources within the far-right community. For some activists, this conspiratorial cooperation with what they in fact saw as the hated “federal system” proved to be a blessing, since the intelligence agents had a vital interest in making sure that their spies would not be prosecuted. This had to lead to conflicts between police and intelligence. According to the position paper, the tensions came to a head on Nov. 27, 1996, during a top-level meeting between the presidents of the BKA and the Office for the Protection of the Constitution to discuss the crisis. The BKA officials instructed their state security division, which works to combat politically motivated crime, to ascertain the problems at a “working level”. 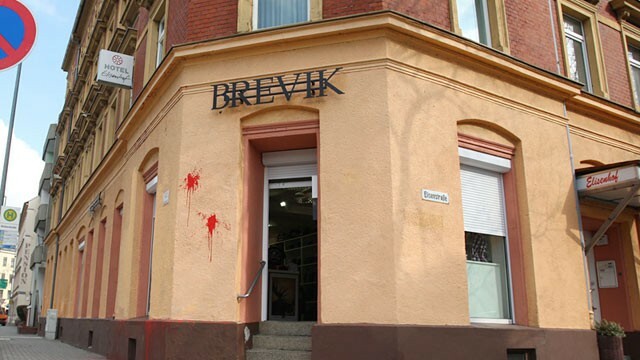 A German clothing brand accused of capitalizing on the notoriety of confessed Norwegian mass killer Anders Breivik by naming a new store “Brevik,” dropping only one letter from the right-wing extremist’s last name, has bowed to public pressure and changed the name. Thor Steinar, a clothing company popular with Neo-Nazis and once banned by the German government for using Nazi imagery, opened its Brevik store in the eastern German city of Chemnitz earlier this week. Thousands of protestors took to the streets to demand the name be changed. On Wednesday, the company that owns Thor Steinar said the connection with Anders Breivik was unintentional and that the name would be changed. A sign above the front door with the name Brevik has already been removed and replaced with a sign reading Tonsberg, the name of another Norwegian town. Breivik, who has confessed to twin July 2011 attacks in Norway that killed 77 people, was indicted on terror charges in Oslo today. Breivik said he detonated a bomb and shot nearly 70 people to protest Muslim immigration. The company had initially defended its choice to name its latest store Brevik by noting that each of their 13 stores is named for a town, and Brevik is a small town in Norway south of Oslo. Thor Steinar had already used the name Brevik for a store three years before the Norway massacre made the name Breivik synonymous with right-wing violence. In 2008, the company opened and quickly closed an outlet called Brevik in Hamburg. “The linguistic similarity of the names Brevik and Breivik is awkward but not deliberate and in no way must be seen as a provocation,” said Mediatex, which owns Thor Steinar, in a written statement. The brand also uses other Norwegian imagery in its marketing, including the national flag and other town names. The company has previously been in trouble for the alleged use of Nazi imagery. It was banned by the German government in 2004 for similarities between its logos and SS symbols, but then changed its products to make them legal under German law. Whatever Thor Steinar’s motivation, its choice of Brevik as a store name had sparked outrage in both Germany and Norway. “Such a thing is shocking and completely unacceptable,” Katja Uhlemann, a spokeswoman for the city of Chemnitz, told German media. “For us, as a town, it’s clear, we do not want such a shop,” she added, saying that all legal possibilities for action against the store were being examined. A Saxony-based neo-Nazi group called the National Socialist Underground hid in Chemnitz and a nearby town for more than 13 years before it was broken up by police in November 11. The cell allegedly killed 10 people, nine immigrants and one police officer, in cities throughout Germany between 2000 and 2006, and several members are awaiting prosecution. Anders Breivik will go on trial April 16. He faces a maximum prison sentence of 21 years on the terror charge, but can be detained indefinitely. He may not to go prison at all, since prosecutors believe he is psychotic and will seek to have him committed to a mental hospital, where he can also be held indefinitely. Among the worthy films being premiered at the Berlin film festival over the next 10 days are an epic tracing China’s history; three documentaries about the Fukushima nuclear disaster; Werner Herzog’s look at death row; and Angelina Jolie’s take on the Bosnian war. But one of the most popular films on the day that tickets went on sale was a Finnish sci-fi comedy about Nazis living on the dark side of the moon. Iron Sky tells how Hitler’s top scientists moved to a lunar military base known as the Black Sun shortly after the end of the second world war. For more than 70 years boffins beavered away on a fleet of spaceships that one day would return to Earth and finish what the Nazis started. In 2018 the invasion begins. The Finnish-German-Australian production was the second most popular film when the box office opened, according to Berlin’s Tagesspiegel newspaper. It was beaten to the top spot by Don 2 – The King is Back, the latest from the Bollywood star Shah Rukh Khan. Fans of the Indian heartthrob camped out in a shopping centre for three days and nights to get tickets for the film, which sold out in minutes. Scout snipers in the Marine Corps shown with a flag bearing an “SS” similar in design to one used in Germany by the SS, a paramlitary force that operated under the Nazi party. 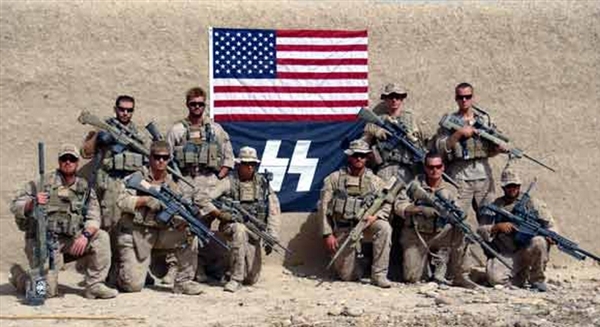 SAN DIEGO — The U.S. Marine Corps confirmed Thursday that a sniper team in Afghanistan posed for a photograph in front of a flag with a logo resembling that of the notorious Nazi SS. Use of the SS symbol is not acceptable, and the Marine Corps has addressed the issue, Lt. Col. Stewart Upton said in a statement. He did not specify what action was taken. Upton said the Marines in the photograph, posted on an Internet blog, are no longer with the unit. The picture was taken in September 2010 in Sangin province, Afghanistan. The photo shows a flag with what appear to be the letters “SS” in the shape of jagged lightning bolts. The symbol resembles that used by SS units in World War II. Another photograph, which showed a stylized “SS” on a rifle held by a Marine, also recently began circulating, the Marine Corps Times reported. The SS, or Schutzstaffel, was the police and military force of the Nazi Party, which was distinct from the general army. Members pledged an oath of loyalty to Adolf Hitler. SS units were held responsible for many war crimes and played an integral role in the extermination of millions of Jews along with gypsies and other people classed as undesirables. The SS was declared to be a criminal organization at the Nuremberg war crime trials. The Knights Armament Company blog published the photo in May 2011, and attributed it to Tayler Jerome, of the 1st recon BN Charlie Co. The Military Religious Freedom Foundation in Washington D.C., which found the picture online and alerted the Marine Corps Times, said it was outraged and wants a full investigation. Foundation officer Mikey Weinstein said he has been flooded with calls from former Marines offended by the photo and from one member of his organization who is an Auschwitz survivor. “This needs to be fully investigated. This is a complete and total outrage,” he said. War stresses to blame in Marine urination video? Weinstein said his organization was sending a letter to the head of the Marine Corps and Defense Secretary Leon Panetta. Master Gunnery Sgt. Mark Oliva, a spokesman at Camp Pendleton, Calif., said the photo was brought to the attention of the 1 Marine Expeditionary Force inspector general in November, and he found there was no intent on the part of the Marines to identify themselves with a racist organization. Oliva said the investigation found that the SS symbol was meant to identify the Marines as scout snipers, not Nazis, but it was nonetheless not acceptable. This is the second time this year the Marine Corps has had to do damage control for its troops’ actions. The Marine Corps is also investigating a separate group of Marines recorded on video urinating on the dead bodies of Taliban fighters. In November, the I MEF Inspector General became aware of the “SS” flag photo. They then received confirmation from the 1st Recon Battalion Commanding Officer in Afghanistan in November 2011 that several of the personnel in the photo were from 1st Recon Bn from the OEF 10.2 deployment (Afghanistan deployment in 2010). These Marines are no longer with the command. 1st Recon Bn is deployed forward again, but none of the personnel in the photo are still in the unit. Certainly, the use of the “SS runes” is not acceptable and Scout Snipers have been addressed concerning this issue (“SS runes” are prohibited from use as a symbol or any other use). Nazi-occupied Paris was a terrible place to be in the waning days of World War II, with Jews, Resistance fighters and ordinary citizens all hoping to escape. Disappearances became so common they often weren’t followed up. And one man used the lawlessness for his own terrible purposes, killing perhaps as many as 150 people and dismembering and burning their bodies. It wasn’t until thick black smoke seeped into buildings in a fashionable part of the city that firefighters and police found body parts scattered around an elegant townhouse — setting off a manhunt that led them, eventually, to Marcel Petiot. “Paris was not a good place to be. A lot of people were trying to leave Paris, a lot of people just disappearing. He had it plotted out, a very devious plan,” said King, in a telephone interview. Petiot, as it turned out, was a respected physician who turned serial killer by night, preying largely on Jews desperate to leave Paris by luring them in with promises of escape. He was accused of murdering “only” 27, but authorities suspected his real toll was far higher. King, a former history professor, first stumbled across reference to the killings while browsing in a bookstore and picking up a World War II memoir by a spy. At first, he couldn’t believe what he read. 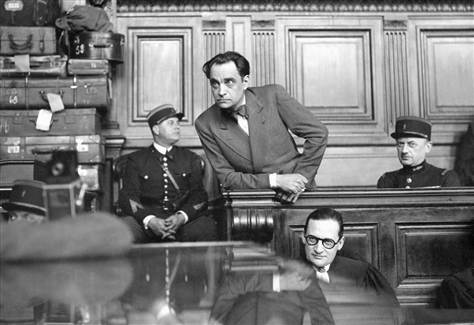 “Here’s a guy — Marcel Petiot, who was accused of all the murders. Obviously very intelligent, charismatic, has a respected position, is into collecting antiques, interested in the arts,” he said. Once in Petiot’s hands, the victims were told to write letters to their relatives, telling them that they were fine and would return once times had settled down. 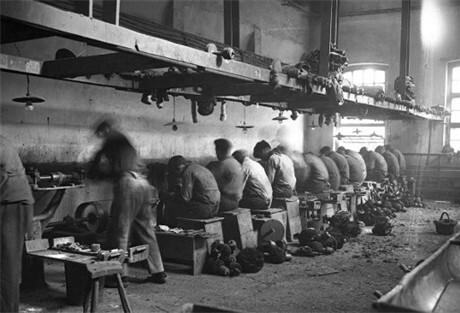 Then they were killed, most likely by lethal gas, and dismembered or burned. “It’s a microcosm of the whole Nazi terror and Paris being a bad place to be. There’s got to be more than just exploiting peoples’ hopes and dreams and desperation, but that’s what he does,” King said. Though Petiot eluded police on at least one occasion, after appearing amid the crowd that gathered after the initial grisly discovery and speaking with a patrolman before riding off on his bicycle, he was eventually captured, tried and – in May 1946 – executed by guillotine. “I’m generally a pretty outgoing person, but I’m probably a little bit more reluctant about things now,” he said.